The courses we offer have adapted to market needs, and we have grown to be recognised as an important provider in the region. Training has been a core activity for us since the early 90s when personnel training was the core business of the company. 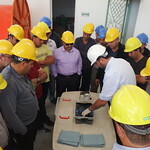 AOST trained most oilfield personnel for Schlumberger (Libya) and ADWOC. Most other Companies operating in Libya and Tunisia, nominated oilfield personnel to attend training courses held in Malta by AOST. Along the years we have organised training also at the client site: in Greece, Malta, Italy, most North African countries (even in desert locations). We also have our certified training facilities in Valletta Harbour (Malta), Sfax (Tunisia) and Piraeus (Greece). The AOST Academy organises a wide range of courses related to oil & gas operations, shipping and seafaring and these are are held regularly in Malta, Greece and Tunisia. We have also teamed up with OSRA INTERNATIONAL to offer courses in environmental protection. 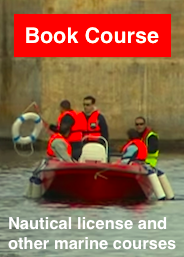 Our training programmes are fuly recognised by the national maritime and environmental authorities. 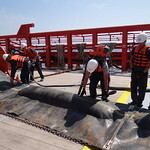 OSRA INTERNATIONAL is a Training "Accredited Contractor" by UKSpill. The below is a full list of the courses which are open for registration at any time. You can book online and we will get back to you with date availabilities. Payment is only upon confirmation. We also organise closed group customised corporate courses. Do you have specific needs? Do you want free advice to tailor a course for your needs? Contact the Training Director by email on training@aost.com.